• Elevation Profiles and much more! 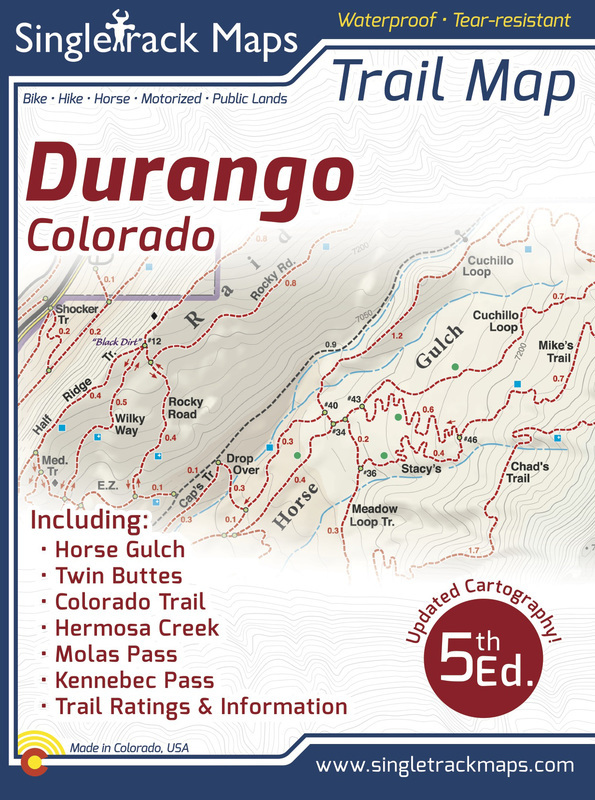 Combine this excellent guide book with our trail map for the ultimate Durango experience! Durango, Cortez, Dolores and Rico are in the midst of three high mountain ranges and are surrounded by rolling Pinyon-juniper and high desert country; a perfect landscape and climate for a great variety of trails and for quality riding nearly year-round. The mountain trails cross spectacular passes, traverse steep wildflower meadows and wind in and out of forested valleys. The high desert singletracks swoop through arroyos and roll over slickrock. Mountain Bike Durango, Cortez, Dolores and Rico Singletrack all the best riding in the area, from Rolling Pass on the Colorado Trail at 12,500 feet to the Road Apple Rally in Farmington, New Mexico at 5,300 feet! 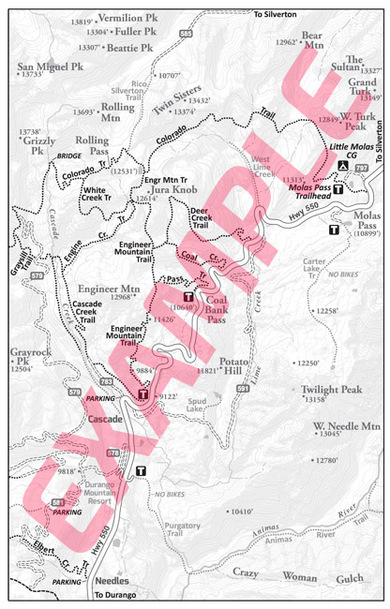 With maps by Singletrack Maps, elevation profiles for each ride, and full color photos, it is a complete resource for your mountain bike adventure to the area. Enjoy inspiring views and great singletrack in the San Juan and La Plata Mountains on the Colorado Trail. Ride smooth, fast trails in wide open Pinyon-juniper country in Horse Gulch and at Phil's World. Roll through giant groves of aspen on the Salt Creek and Pinkerton-Flagstaff Trails. View archeological ruins in Sand Canyon from desert singletrack. Experience amazing ridge-top riding on the Calico Trail. Challenge your downhill skills on Haflin Creek and Snake Charmer Trails. Visit a UFO crash site in Aztec. Explore little known Sharkstooth, White Creek, Groundhog, Engine Creek and Mountain View Trails with this guide. 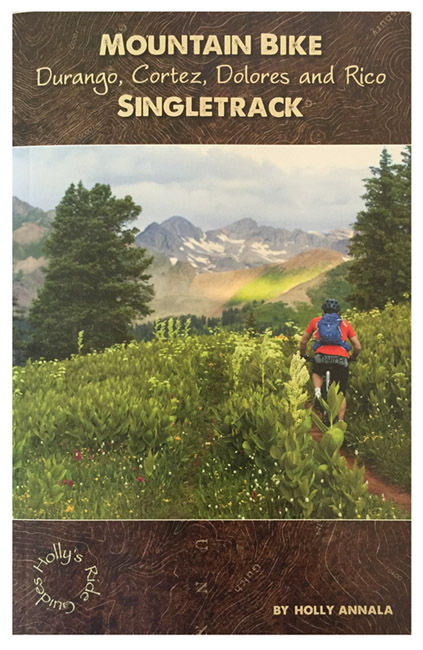 The accurate trail descriptions and detailed maps in this guidebook help you decide on a singletrack adventure that fits your ability, desires, and time schedule. 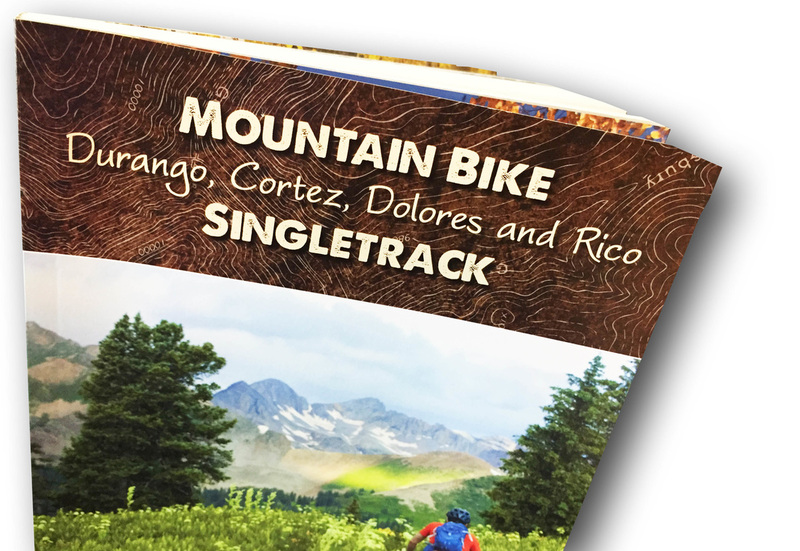 The guide includes 54 singletrack rides, full color photos of the trails, custom topo maps by Singletrack Maps, elevation profiles for each ride, bike shops, guide and shuttle services. It includes rides from Molas and Coal Bank Passes, Aztec and Farmington as well. 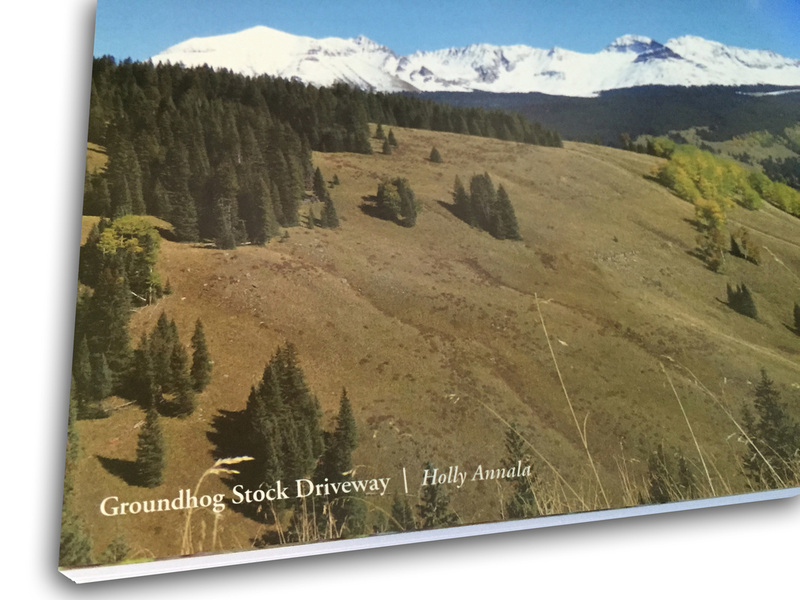 The BEST guide book for Durango area rides! We worked closely with Holly to create accurate and detailed maps!